The Contraceptive Equity Act was enacted in Maryland in 2016. Effective on Jan. 1, 2018, the Act mandates that male contraceptive services (vasectomies) must be covered as a preventive service — i.e., without any deductible or cost-sharing required. HSA-qualified HDHPs are prohibited from covering any benefits before the deductible is met, except for IRS-approved preventive care services. This effectively means HSAs may be no longer be available in Maryland, since the Contraceptive Equity Act made no exemption for HSA-qualified HDHPs. The law applies to all policies, contracts, and health benefit plans that are issued, delivered, or renewed in the State on or after January 1, 2018 except self-insured employer plans, which are exempt due to Federal ERISA law. UPDATE NOTE: Many employer-sponsored health plans in Maryland are self-insured and are therefore not subject to insurance mandates enacted by the State of Maryland legislature. These plans have the freedom to decide the extent to which male sterilization will be covered, and most with Qualified High Deductible Health Plans will continue to make these services subject to the plan deductible. Many Maryland residents are covered by health plans issued in other states which do not have this insurance mandate. Therefore, these HSAs are not in jeopardy and the state legislature has created potential tax inequity by adding this insurance mandate. In May 2017, the Maryland Insurance Administration asked the IRS to determine whether male sterilization could be added to the list of preventive services. The IRS has yet to respond. If the IRS determines after Jan. 1, 2018 that male sterilization is a preventive service AND that position is treated retroactively, no further legislative action will be needed. However, if no such determination is made, new Maryland legislation would be required to preserve HSA contributions in Maryland. The MACPA is part of a coalition of organizations seeking a legislative initiative to modify the language of this mandated benefit in a way that will preserve the tax-deductible treatment of HSAs in Maryland. Representatives from the MACPA have participated in meetings with the legislative subcommittee as a technical resource. We are working to ensure proposed language is forceful enough to clearly state that HDHPs would remain eligible for HSA contributions (for instance, through the use of words such as “shall” rather than “may”). Emergency legislation is expected to be introduced in the upcoming General Assembly session, which convenes on Jan. 10. If this legislation is passed in the 2018 session, there is still a strong possibility it will NOT BE retroactive to Jan. 1, 2018. Based on the current circumstances, it is fairly certain there will be no resolution to this issue by Jan. 1. Therefore, until a fix is made, CPAs will need to advise their clients that HDHPs do not exist in Maryland as of Jan. 1, 2018 and that HSA contributions made before the issue is resolved are in danger of being disallowed and potentially subject to penalty. The mandate on male sterilization applies to plans “issued, delivered or renewed in the state on or after Jan. 1, 2018.” For plan years other than calendar-year, this will not apply until the start of the plan year if that year starts after Jan. 1, 2018. The MACPA will continue to push for a suitable resolution, actively monitor this issue and provide updates on our Federal and State Tax discussion groups as information becomes available. Once the General Assembly is in session and we have bill numbers, we will share this information. 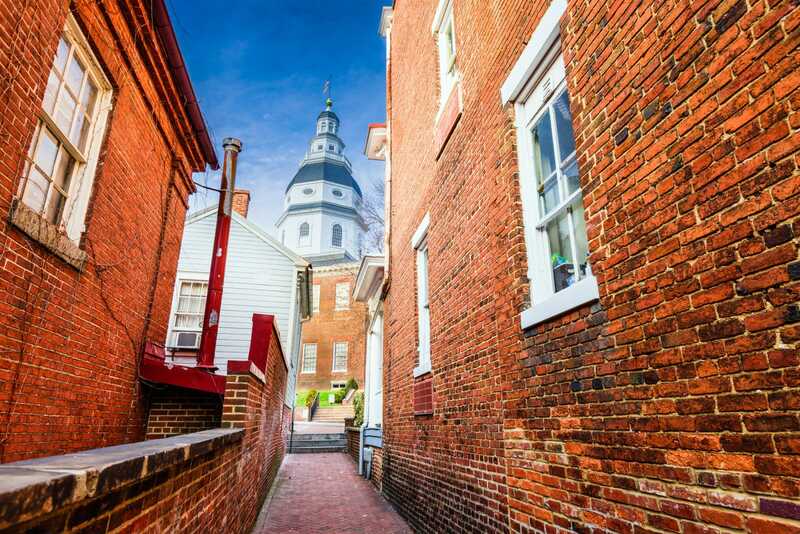 The HSA issue will be at the forefront of our legislative efforts during the 2018 edition of CPA Day in Annapolis. Scheduled for Jan. 25, the event will match MACPA members directly with their state legislative representatives in an effort to affect real change on the legislative process. You can’t wield that type of influence unless you become involved. Our profession’s voice grows stronger with every CPA who makes an effort to influence the hearts and minds of legislators and regulators. Sign up now. Pledge to join us in Annapolis. The more CPAs who speak up, the more influential our voice becomes.